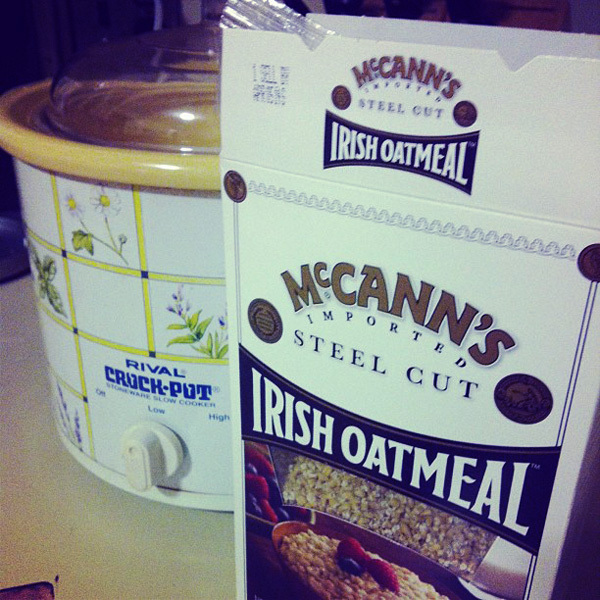 I made another batch of crock pot oatmeal. This time I used steel cut oats and Alton Brown's recipe. 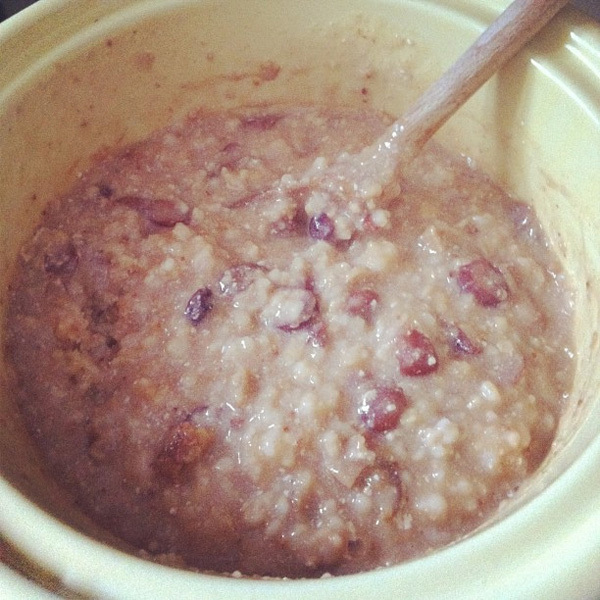 I didn't see a huge difference from the regular oat crock pot oatmeal recipe I made before. This one had craisins and figs in it so it was hard to compare, I think. The Crock Pot experimentation will continue. 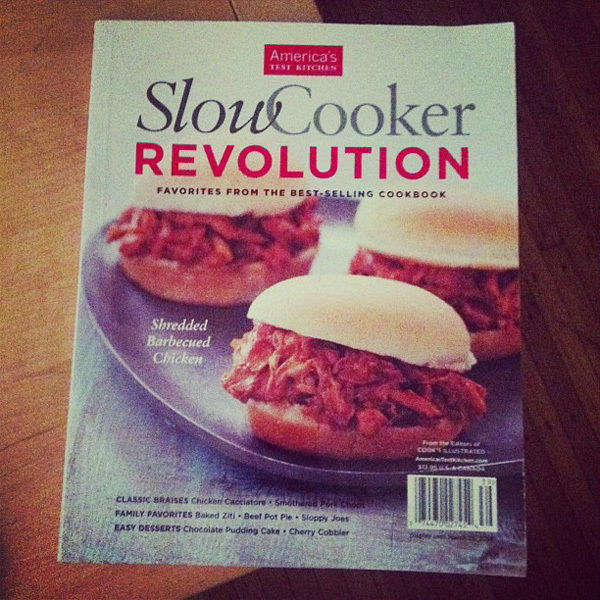 I picked up this cookbook from America's Test Kitchen and I can't wait to try some of the recipes.